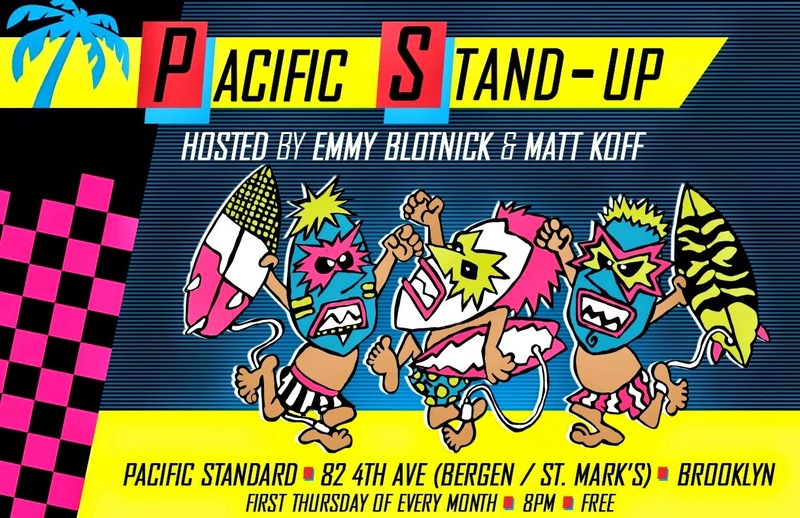 Pacific Standard Blog: Pacific Stand-Up Thursday, April 2nd at 8pm! Pacific Stand-Up Thursday, April 2nd at 8pm! Pacific Stand-Up returns next Thursday with more great comedy. April's show is being co-hosted by Brendan McLaughlin and David Smithyman. Come on out! Featuring One-Man House Band Tony Zaret. Hosted by Brendan McLaughlin and David Smithyman (The Nightly Show). Underhill Players Comedy Night tonight at 8pm! Pacific Stand-Up Thursday, March 5 at 8pm! Planning on Being in Colorado Next Month?